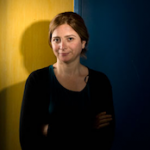 The Syrian writer and journalist Samar Yazbek will be receiving the Oxfam Novib / PEN Award on Thursday, January 17. Samar Yazbek was witness to brutal violence against demonstrating citizens in her country. She wrote about it, then received serious threats and finally had to flee the country with her daughter. The Oxfam Novib / PEN Award is presented annually to writers and journalists who are being persecuted for their work, or have had to flee. In addition to Samar Yazbek, who is the only one attending the presentation in the Netherlands, this Award will also be presented to four other writers this year. 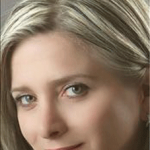 Syrian Samar Yazbek (born 1970) is the author of successful novels, many translated too. She also works as reporter and script writer for Syrian television. Yazbek has taken part in the Syrian uprising from the start, in order to end 40 years of dictatorship. She visited prisoners, put their stories to paper, and thus gave the revolution a face. Until, no longer able to resist the pressures, she had to leave the country. In her book, A Woman in the Crossfire, she reports on the first five months of the revolution in Syria. This book will be published n the Netherlands by Nijgh & Van Ditmar and Oxfam Novib in April. The Cameroonian writer and co-founder of the Cameroon Writers Association, Enoh Meyomesse, has been in prison since November 2011, on the basis of contrived accusations. He is being denied proper legal representation and is treated badly. The Iranian activist, journalist and deputy director of the Defenders of Human Rights Centre (DHRC), Nargass Mohammadi, is also in prison. She had published reports on human rights violations and visited political prisoners, and was convicted among others for “propaganda against the regime”. The Congolese journalist Déo Namujimbo has had to flee the Democratic Republic of Congo because of his work for Journalists in Danger and Reporters Without Borders. His brother Didace, also a journalist, was killed in 2008. Déo now lives in exile in France. In Turkey the academic and writer Büşra Ersanli was accused of “leading an illegal organisation”. De state linked her work to the illegal PPK, which is an absurd accusation considering her efforts for a peaceful and democratic solution to Turkey’s problems with minorities. The presentation of the Oxfam Novib / PEN Award is part of the Writers Unlimited Festival, which takes place in The Hague from Thursday, January 17 to Sunday, January 20. About Oxfam Novib / PEN Award: the international writers’ association PEN (poets, editors, essayists and journalists) is a partner organisation of Oxfam Novib and committed to the wellbeing and safety of persecuted writers. The PEN Emergency Fund helps persecuted and refugee writers with a one-off amount of € 2,500, to keep their heads above water. Five awards are presented every year; only 1 of the laureates is coming to the Netherlands. On previous occasions the Oxfam Novib / PEN Award was presented to Hrant Dink (Turkey), Duong Thu Huong (Vietnam) and Anna Politkovskaya (Russia). Last year the Iranian journalist, blogger and activists Asieh Amini received the award. The Hague is the city of international justice, peace and security, and a logical place for presenting the award. About Oxfam Novib: People in developing countries must be able to build independent livelihoods, and to do it by themselves. In order to achieve this, Oxfam Novib works with partner organisation on site, private and institutional donors, volunteers, businesses, governments, Oxfam’s affiliates around the world, and other “ambassadors of DIY”.